Does Texas Home Insurance Cover Termites? 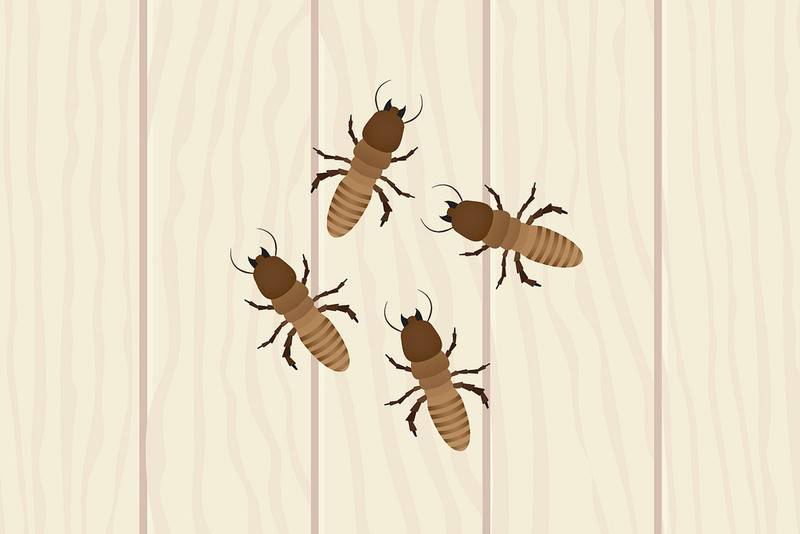 Every Spring when the storms flare up, the trees bud out, and the bugs start crawling in North Texas, homeowners have the potential of seeing a swarm of termites in their home. If you aren't lucky enough to see the swarm, you may see it's after effects on your walls or window sills. One thing is for sure, it's a disconcerting visual and you will likely wonder if it's covered by your Ft Worth Home Insurance. The reality for most homes is that damage caused by termites and the process of getting rid of them is not covered by a standard Texas Homeowners Insurance policy. Damage caused by vermin, insect, or pest is typically excluded. So this one is going to be on you with some exceptions. So let's talk about those. So let's pretend for a moment that you've got termites. A LOT OF TERMITES. And you don't even know that they are there. They got to town mowing down the inside of your home's infrastructure. They are so prolific in eating silently that they cause your entire home to collapse on itself. We're talking looks like a bomb went off collapse. That, so long as you didn't know that they were there, is actually covered under the sudden collapse portion of your policy. It's highly unlikely. But covered. Another provision where you would be afforded coverage for damage caused by termites could be fire. And this one is actually more likely than the collapse scenario above. If for instance, the termites were chewing through your home and made their way to an electrical line and caused the spark that caught your Burleson home on fire, then you could be afforded coverage. Again, this one is pretty unlikely, but you will have coverage for the covered peril of fire. Given the inability to cover your home for damage due to insects and other pests, it's vitally important to do regular maintenance and checks on your home. It's likely your most valuable possession and Insurance For Texans job is to help you protect it. Termites are a tough one for us, but we can help you in other ways.